Unless you intend holidaying on Fraser Island, most probably your best way of seeing all its beauty is to take a 1 day or 2 day tour. 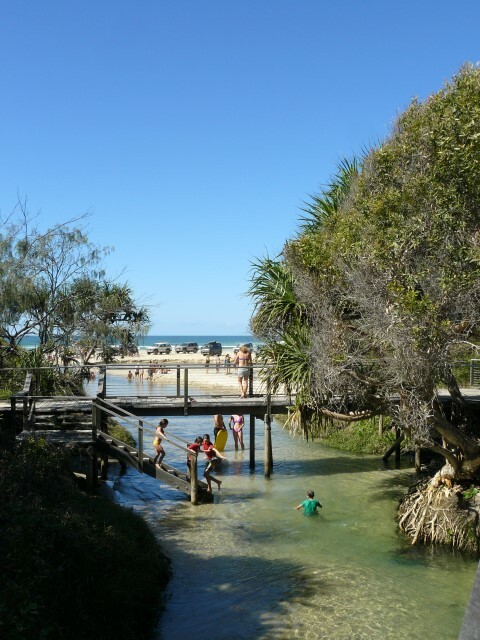 Or you can make the trip in your own 4WD, driving up the road or beach to Inskip Point and crossing in the barge. Rainbow Beach Flying Services offer a daily service to Fraser Island, but prior bookings are required. Remember that going independently, a permit is required and is available from the National Parks Office.